A grim portrait of pain has been revealed by a new study for Deep Relief, a topical, clinically proven analgesic gel which uses both analgesic ibuprofen and counter-irritant levomenthol to deliver a dual attack on pain to provide, effective pain relief. In this survey of 1000 adults, almost half (43%) said they were blighted by pain on a daily basis. A similar proportion (45%) reported living with pain for more than five years. A staggering one in two people (48%)also simply ‘grin and bear pain’. Standing for long periods (41%), household chores (40%) and sitting at a desk for long periods (33%) all aggravate discomfort and a third (32%) report that cold weather makes their pain worse. However, there are innovative products that can help us with our pain and manage it. 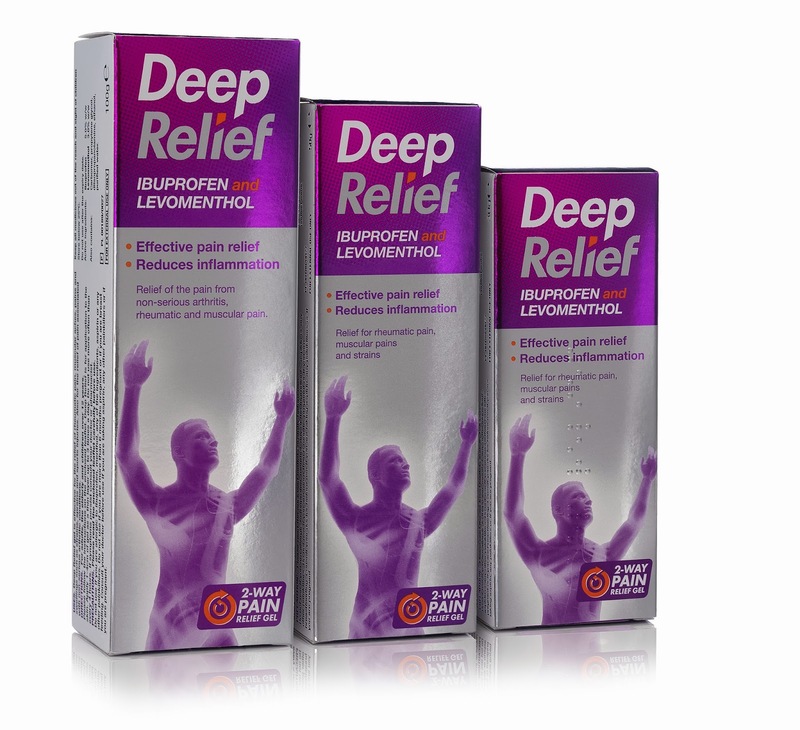 Using an effective topical pain relief product such as Deep Relief gel can help maintain mobility and prevent pain from undermining the ability to enjoy daily life. Deep Relief, for example, is a topical analgesic gel which uses two weapons to help fight pain - analgesic ibuprofen and counter-irritant levomenthol — to deliver a dual attack on pain which has been clinically proven to provide, effective relief. The ibuprofen reduces pain by damping down inflammation and swelling while the levomenthol provides a counter-irritant effect which delivers cooling pain relief. 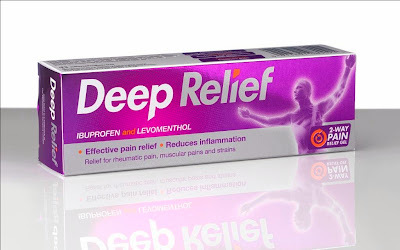 The synergistic action of these two key ingredients enhances penetration of the ibuprofen suggesting that Deep Relief may deliver more ibuprofen than products containing ibuprofen alone. Deep Relief has been subjected to a randomised, double-blind placebo controlled trial — the toughest scientific test there is — and is proven to reduce pain in walking, standing and at rest.